In The Picture of Dorian Gray, novelist, Oscar Wilde wrote “Nowadays people know the price of everything and the value of nothing.” I am mindful of how applicable this quote is to investor behavior over the past few years. We have the price of everything available instantly on our mobile devices, but we’ve lost our curiosity about the true value of things. When this bull market ends, investors who have grown complacent in this area will pay a hefty financial price. This is the lesson of market volatility. We have experienced nine years of consistent, increases in the broad stock market averages with little in the way of normal corrective price action along the way. There are sound arguments about the suspect nature of this low volatility bull market. Most of these observations cast a critical eye toward the powerful yet secretive Federal Reserve Bank system. The Federal Reserve’s unprecedented use of “creative” techniques after the housing bubble contributed to the bull market in ways that will take decades to understand. The deluge of stock buybacks which were often funded by corporations' ability to borrow money at near zero interest rates are one example of suspect behavior that the Fed's policies promoted. Long bull markets also tempt investors to consider two familiar forks in the behavioral road. Without the occasional price correction to jolt slumbering investors, they can drift into lazy thinking and numbly follow herd behavior. They forego the hard work of calculating the true value of their financial assets and simply trust in the masses. Other investors take the fork to blind hubris. They misinterpret market action as an affirmation of their intellect and ability to discern future price action. These investors adopt the mindset of short-term traders, churning through tweets, blog posts and charting software. They begin to trade higher risk instruments that they have little experience or understanding of but, as the bull rages, their risks pay off frequently enough to amplify their behavioral miscalculations. We highlighted Tesla and Netflix in January as prime examples of the price/value conundrum. Netflix generates revenue but returns no money to shareholders. In fact, the company is burning through billions of dollars creating original shows with little expectation for how profitable the shows will be. The price of Netflix stock increased from $190 in January to $423 per share in June. Now (October 2018) it is on the verge of breaking $300. This 122% jump followed by a 29% decline demonstrates the gap between the price of the company and the value of it’s shares. Placing a tangible value on Netflix requires making many unknowable assumptions about the future. Investors are left following a price trend that could reverse violently at any time. I have a name for opportunities like Netflix and Tesla – uninvestable. There are other examples of companies whose stock price bears little resemblance to the intrinsic value of their products, services and financial assets. The Federal Reserve started reversing the housing crisis recovery experiments a couple of years ago. Stock investors were slow to understand the Fed’s persistence. Price volatility this year is an indication that investors are beginning to examine the price they have paid versus the value they bought. We have further to go before this price/value gap returns to historical norms. Once they acknowledge the disconnect between prices and values in domestic stocks, investors can look at foreign markets where the price/value ratio is more favorable to long term appreciation. Pursuing value is our preferred path to build long term wealth. We have filled this position. Stay tuned to meet our new associate! LeConte Wealth Management, LLC is a full-service wealth management firm located in Maryville, TN. We provide counsel that helps people make good choices with their financial resources to help them achieve financial independence and fulfillment. We rely on teamwork, technology and decades of experience to deliver results for our clients. Status: Exempt, health insurance and profit sharing benefits available. Two weeks paid vacation after probationary period. This is a summary outline of the responsibilities initially required of a Junior Planning Associate for LeConte Wealth Management. Our Planning Associate is an integral part of our ensemble organization. With financial planning responsibility for the firm's clients, a Planning Associate learns to be an advisor-- first, by assisting in building the business while allowing the Lead Advisor to focus on advising the clients. A successful Planning Associate may then move up to advising clients, dependent on licensing, experience and expertise. Attend client meetings; take, assemble and transcribe notes relative to action items, tasks and decisions made during appointments. Can maintain a flexible weekly work schedule, which will include working evenings as needed and may include an occasional weekend day. Appreciate the values and appeal of East Tennessee, its residents and its culture. All positions in our office require interaction with people and technology while either standing or sitting. To best service our customers, stores and vendors, all employees must be able to communicate face-to-face and on the phone with or without reasonable accommodation. Use of office equipment, including copier, fax, scanner, shredder, etc. Most consumers have some experience with dynamic pricing. The most memorable instances are when hardware stores increase lumber prices ahead of a storm or your local gas station jacks up prices before a long holiday weekend. These opportunistic instances are rightly met with a consumer backlash and cries of unfair price fixing. On the other hand, we expect the price of a beachfront rental to cost more in the summer and accept the higher price because we maintain control over when and where we choose to stay. Walt Disney has capitalized on the popularity of their theme parks and increased their use of dynamic pricing techniques to capture more of your wallet. Attendance at the Magic Kingdom park grew from 16.9 million in 2010 to 20 1/2 million in 2015. It comes as no surprise that Disney is using the allure of a magical park visit or a princess greeting to get more money from every visitor. Instead of relying on behavioral impulse purchases once you are at the park, Disney has pushed their dynamic pricing reach online to capture more revenue when you book your visit. Most merchants don't have a power brand like Mickey Mouse but that isn't stopping them from implementing dynamic pricing. Online and mobile shopping has become ubiquitous and the big data analytics necessary to implement dynamic pricing is more accessible to online merchants. Dynamic pricing is reaching deeper into consumers wallets than ever. Consumer data acquisition and analytics is the driving force of this revolution. Facebook tracks your social media posts and browsing history, Google mines location specific data from us, Samsung and Apple uses beacons to covertly collect data on where we are, what we watch and even what we are listening to. As we plug more Amazon Alexa devices into our living rooms, the data stream will surge into a tsunami of geo-located real time information. This will allow companies to parse the hottest trends, mentions and social influencers in real time. The hottest tickets have always commanded higher prices. This week a wealthy fan paid $133,000 for 2 court-side seat for game 5 of the NBA finals. Fear of missing out (FOMO) on an instagram-worthy social moment during your summer vacation will lead to higher prices as consumers seek to quench their thirst for happiness. Charging extra for a hot ticket like Hamilton isn't new but expect dynamic pricing to spread to more mundane or regionally hot items. Consumers comfort with allowing data mining of our every whim is making it happen. Where were you in 2007? After their success with the iPod, Apple launched a new product that they dubbed the iPhone in 2007. 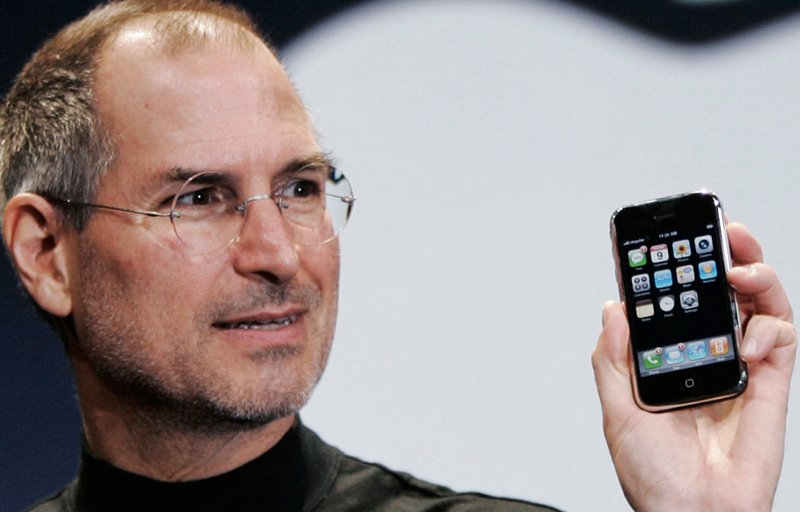 Apple launched it on AT&T’s 2G network without the app store which wouldn't arrive until 2008. 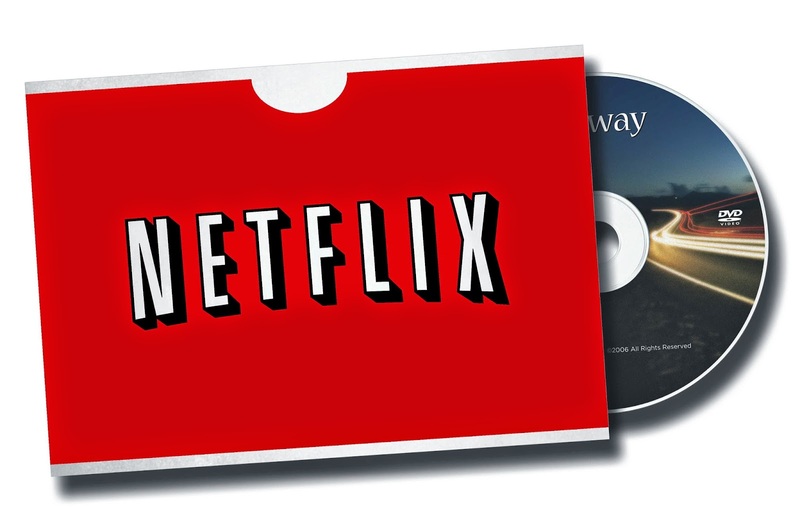 A 10 year-old DVD rental company named Netflix offered a new service called “streaming video” that promised to deliver a massive catalog of television and movie content to customers over the Internet to home computers instead of waiting for the mail. Peyton Manning lead the Indianapolis Colts to a 29-17 victory over the Chicago Bears in Super Bowl XLI and was named the game MVP for his performance. The Dixie Chicks had the number one song, “Not Ready to Make Nice” and album, “Taking the Long Way” a rebuttal to the death threats the band faced after their anti-war comments in 2003. In March, Kevin and I opened LeConte Wealth Management after working together for five years in a local bank investment department. We built a solid friendship before we built our business partnership. Our friendship was founded on trust and respect for the character that our families had instilled in us. We encouraged each other on good days and not so good days. Clients always came first even when our sales manager pushed us to increase production. We enjoyed our work and how it benefited our clients, many of whom were (and are) family and friends. We had a few simple goals when we started LeConte. We wanted to create a firm that was independent of conflicts and outside influences that are typical in the investment industry. We wanted to create a business culture of skilled, honest practitioners who worked together to help clients. We wanted the freedom to pursue a healthy balance between work and our family life. 2007 was a devastating time to start an investment firm. Within our first 18 months, we saw the housing crisis boil over into an economic meltdown that forced dozens of banks and Wall Street investment firms into declaring bankruptcy. The S&P 500 lost more than ½ of its value before bottoming out in March 2009. Bank after bank fought for survival by reducing their businesses to bare bones essentials. This meant most banks reduced or eliminated their bond trading functions. As a result, the market for corporate and municipal bonds seized up in a liquidity vacuum. When we opened LeConte, we moved our largest clients away from transaction-based brokerage accounts and into advisory accounts. With nearly 40 million dollars under discretionary management, we had flexibility to take advantage of the market disruptions of the times. At the point when many other investors we either over-reacting to events or burying their head in the sand, we were on the hunt for mispriced assets for our clients. We not only survived with this strategy, we laid a solid foundation for growth. We transformed our financial planning process and personnel to incorporate advanced real-time reporting technology. This enabled 24/7 access for clients to their financial data regardless of where the accounts were maintained. Our willingness to invest in technology and people when other firms were struggling to survive gave us a head start when the economy stabilized. In 2013 Kevin and I left the brokerage commission business in the wreckage of the housing crisis and focused on growing our advisory practice. As we crossed the 100-million-dollar threshold in advisory assets, we registered with the Securities and Exchange Commission in Washington, DC. and dropped our brokerage licenses for good. Our transition to becoming a registered investment advisory (RIA) firm was complete but our growth story wasn’t. We added the next piece to the puzzle in 2014 when Jon Dockery, a local CPA, brought his tax expertise to LeConte clients. By offering excellence in asset management, financial planning and now tax preparation and filing, we offer a strong value proposition to Blount County residents who are busy enough in their personal and professional lives. A decade after starting up, client assets have grown more than threefold from 40 million to 140 million. We’ve never raised our fees. We adhere to the same core principles that we discussed in 2007: Independence, teamwork, life outside of the office and community involvement. We’ve added new team members and expanded our services so that we can help clients at every stage of financial maturity. We have maintained our technology investment pace by offering every client a customized Purpose-Built Planning portal, the LeConte Mobile app and text based notification services. The next decade will undoubtedly give birth to significant historical events. We hope and pray that they aren’t as tumultuous as the last decade. With great clients, great team members and hard work, we look forward to seeing where it takes LeConte. Thank you to all our loyal clients who place their financial hopes and dreams in our hands. The trust that you have shown us is our most precious asset. We are grateful. Before the Dot-com bubble burst in 2000, a few successful companies were looked upon to provide leadership to stock prices. Microsoft, Intel, Cisco and Oracle and Verizon Wireless were a few hot names to know. From 1997 to their Dot-com peaks these 5 stocks averaged gains of more than 700%. The chart above also shows what happened to investors who were late to the party and bought into these stocks around those peaks. They have been waiting to get back to "even" for a very long time. Seventeen years later, three of these former leaders have yet to eclipse their prior high. 10, 15, 20 years is too long to expect an investor to hold a losing hand. After the Dot-com crash, investors believed that these market darlings would recover their leadership role. They were wrong. After a bear market, the leadership ranks change. The stocks that lead the market to old highs are not the companies that will lead investors out of the bear market. There's a good reason for this. To endure a brutal recession or bear market, companies make reactionary changes to their businesses to survive. They fire employees and halt product development. They mothball projects that are too costly. These decisions come at a financial cost that often cripples the company from building on their prior market or product successes. Companies that limp out of a recession struggle to ramp back up fast enough to regain their stature. Flash forward from 1997 to 2017. Facebook, Amazon Netflix and Google, aka "FANG" stocks now provide the market leadership. Their respective market positions appear unassailable, almost bullet-proof. Their quarterly financial results are must-see media events. Everyone has a favorable opinion and expects these companies to dominate and even crush their competitors out of existence. I think they run a huge risk of becoming this generation's version of dead money. FANG's extreme valuations have been chronicled elsewhere so we'll skip the charts and focus on investor behavior. Leadership names change from generation to generation but investor behavior revolves around a familiar pattern of greed and fear. Investors who are new to stocks are acting on FOMO (fear of missing out, it's a millennial thing) more than common sense. Bull markets end. When this bull fades and the bears trample FANG investors, they should be mindful of this history lesson. Amazon won't be funding drone delivery research when their customers start cancelling Prime memberships left and right. When times get tight, Amazon will fire employees just like every retailer before them did. When Coke, Disney and Home Depot cut their advertising budgets, Facebook will feel it and be forced into reacting to survive. When consumers feel the pinch of layoffs, canceling their Netflix subscription will be an easy cost saving measure to take. Apple will be subletting space in their new headquarters. The financial cost to these companies of enduring a painful bear market/recession will cost them their reputation as market leaders too. When the next bear ends and a new bull market begins, FANG will be replaced by some new herd of unstoppables. The circumstance surrounding a predawn drive into Knoxville on Wednesday morning forced my mind out of neutral. My typical morning commute is short and uneventful. Wednesday was anything but. I was on the road by 6:15 with my wife and 18-year-old daughter in the car with me. We were scheduled to arrive at East Tennessee Children’s Hospital for a medical procedure later that morning. A few days earlier I was shaking my head as I stood in the driveway beside my daughter’s car. She attempted an explanation for the mangled front rim and rubber shrapnel hanging from it but I wasn’t convinced. She assured me that it was just a low-speed brush against a parking lot curb and promised to be more careful. As I examined the car, I explained to her that my frustration wasn’t over repairing the damage (which was minimal). As fathers are prone to, my perspective went to where she was heading in the next 6 months. After graduating high school this spring she will be trekking 3 hours down the highway to attend Belmont University this fall. In my mind, her inability to navigate safely around stationary curbs in a parking lot could turn into a life or death situation at 70 plus miles per hour during a fast-paced interstate commute. She understood my concerns and attempted to reassure me with a wry smile (that usually works). I taught her how to drive so I reiterated some bullet points with her. How to be proactive by looking far down the road to see what was coming towards her. By focusing in the distance, she could gain time to react to traffic problems, I explained. I scolded her to stay focused and don’t get distracted. Navigating the 25 miles from my home town into Knoxville gave my mind time to bounce between the known and unknown that we were heading into. Between my daughter’s medical condition, her own anxiety and the sea of prayers and affirmations that our friends and family passed along to us, I was distracted. Very distracted. I was forced back into the moment because it was an incredibly foggy morning. The local weather station tweeted out a warning that hit my phone before we left. I didn’t think much of it until I drove into it. In the dark, this blanket of fog nearly blinded commuters. Our headlights provided little defense against it. The fog eliminated my ability to do the very things that I admonished my daughter about a few days earlier. I couldn’t see two cars ahead let alone far down the road and discern what traffic was doing. This was a bigger problem because I knew we would hit a couple of construction areas on the highway. The road projects were complex enough to create traffic stoppages on clear days. I was fearful of what was ahead and blinded by the fog to see it coming. Amplified by the crush of morning commuters, this had the potential to become a big problem. The fog/traffic combo brought my distracted mind back to the moment. I took in a deep breath and assessed the situation. That’s when I realized that the fog (the problem), made the situation easier to deal with. It eliminated potential distractions. I couldn’t let my mind wander to the surgery later that day or her recovery afterwards. I couldn’t worry about what investment markets would do when they opened later. I couldn’t speed up our commute time. All I could do was focus on the two round taillights on the car in front of me and make sure I kept enough distance to scrub my speed if they got brighter. The task became very simple and if slowed down it became even easier. I could have raged emotionally at the fog, the construction or the guy in front of me. But that wouldn’t get me there any sooner. I had to stay focused on the two red dots that I could see until the fog lifted. My task was to pilot the car with my wife and daughter safely to our destination. The only way to do that was to keep an eye on the guy in front of me and follow him safely through the fog and construction. I also found myself praying for that guy’s ability to be focused and alert too. I didn’t have control of the conditions but I had control of the car and myself. I could have thrown caution to the wind, tried to dart in and around cars and hoped that the construction zones weren’t congested. That would have been stupid. Any rational thinker would recognize the danger and adjust course and that’s what commuters around me chose to do. We throttled it back, poked through the fog and emerged in one piece on the other side. Health concerns, relationship difficulties, even elections and global events can cloud our vision. The most disciplined among us will face uncertainty without the problem-solving tools that we are most comfortable wielding. It’s fun to fly down life’s road when all the lights turn green for you and no one else is on the road. You can peer far in the distance and set a confident course. When the fog descends, remember that it’s a problem but also a blessing if you adjust your mindset to the conditions. I learned in my foggy commute to eliminate distractions and narrow my focus on the moment at hand. 1. Where should our focus in life, right now, be? 2. What is distracting us from focusing on that moment? 3. Who, outside of ourselves, can help us navigate this? 4. If we are sailing along, what would need to change if we hit the fog? As this pertains to our current investment climate, we are dealing with a significant bank of financial and fiscal fog right now. Stock investors who are enjoying new highs in the market would be wise to understand this. The (one month old) Trump era in Washington is triggering unpredictable behavior in investors who are flying into the fog at high speed. Trump’s most ardent supporters acknowledge the uncertainty in what he will eventually get through Congress. He faces opposition on so many fronts that to deny it and blindly follow stock speculators into overpriced assets isn’t a sensible strategy. Better to slow down, narrow your focus to what’s immediate and wait for clarity later in the year. Take advantage of the political and economic uncertainty by reassessing how you are invested and the risk you are exposed to. My daughter is home resting after the procedure which was as routine as a 4-hour operation can be. We face the uncertainty of a pathology report next week. We could become distracted and anxious by this uncertainty. We have instead, chosen to rely on our faith for assurance. When this fog lifts and we can see the path before us, we will set a course with confidence. God has graciously helped our family navigate through times of uncertainty and blessed us in the process. We have learned to rely on Him to guide us through it when we can’t go around it. The Federal Reserve Board of Governors consists of 7 positions filled by appointment. President Trump already has two vacant seats that need to be filled. Over the next 18 months he may need to fill another 2 or 3 seats. His ability to recast the Fed may have more immediate impact on the country than his Supreme Court picks. Ok, back to work (that was fun)! 1983. Return of the Jedi hit theaters and President Reagan was proposing his own Star Wars Defense System. While Trump is forming a new "Rebel Alliance" in Washington (yes, my son and I have tickets to the new Star Wars movie), 2017 is different in many ways to Reagan's first term in the early 80's. The Trump rally is defying gravity and the Fed has raised rates for the second time in 10 years. These events are increasing market speculation and global economic skepticism. As speculation rises, people make mistakes. When people make mistakes, bargain-priced opportunities emerge for disciplined investors. Market based rates jumped more than twice as much as the Fed’s official announcement, so there has to be more driving the bond market than Fed expectations. Normally inflation fears and currency gyrations drive Treasury bond speculation. Credit factors exert additional influence on corporate and municipal bonds which complicates their value analysis. So, what happens next? Have we reached a point where mistakes are creating opportunities? Is the pain felt by bond investors since November going to continue? Are stock investors hitching a ride to Dow 20,000 and beyond? Let's ascend above the daily noise and revisit some transcendent economic fundamentals. The primary areas to focus on are higher rates, a stronger dollar and their effect on our economy. Why? That will help us understand the eventual damage from these post-election increases in both. A bigger move in either (or both) will further exacerbate matters. Ultimately these two factors are recurring causes of our economic recessions. Recessions are primarily caused by a fall in aggregate demand. This demand side shock could be due to several factors, such as financial crisis, rise in interest rates or fall in asset prices (like houses). Credit crunch which causes a decline in bank lending and therefore lower investment. A period of deflation. Falling prices often encourage people to delay spending. Appreciation in exchange rate which makes exports expensive and reduces demand for exports. Higher rates cut into economic output. The .75% jump in mortgage rates in the last month increased the monthly payment on a new $200,000 mortgage by 10%. You either pay more each month, buy 10% less house or negotiate to drive down the purchase price by 10% to offset the additional interest expense. Anyway you go, it's a hit to the consumers confidence and their wallet. These rate increases so far could be overcome by higher wages but that's not likely. BLS monthly wage data looks promising on the surface but we've deconstructed it in previous posts. We would also point out that much of the aggregate wage growth has accrued to the country's top wage earners. Since they are taxed more heavily and save more than the average worker, the broader effects of their wage gains are limited. When adjusted for population increases, per capita wage growth is even more anemic. A decade ago worker compensation used to include valuable healthcare and retirement benefits. Many companies eviscerated these benefits and also reduced the number of hours they allow workers to be paid for. Fed Chair Janet Yellen, in her comments after the Fed raised rates on December 14th, hinted that she thinks the economy is nearing full employment and won't require legislative stimulus to grow. If she is correct, it is a low gravity (low wage, low benefit) version of "full employment". These former wage benefits are now the sole economic responsibility of workers. Buying these benefits on their own reduces the worker's spendable income. Obamacare rate increases and penalties are sapping buying power from the budgets of young, healthy workers. They would prefer to reallocate these dollars for other spending purposes. Considering this, any measurable wage growth is being engulfed by these circumstances. Here's a chart the breaks down household income on a state-by-state basis that reflects our analysis. Click through to see your specific state. Tennessee's median wage finally jumped last year (Thank you, Nashville) but still lags where we were in 2007. 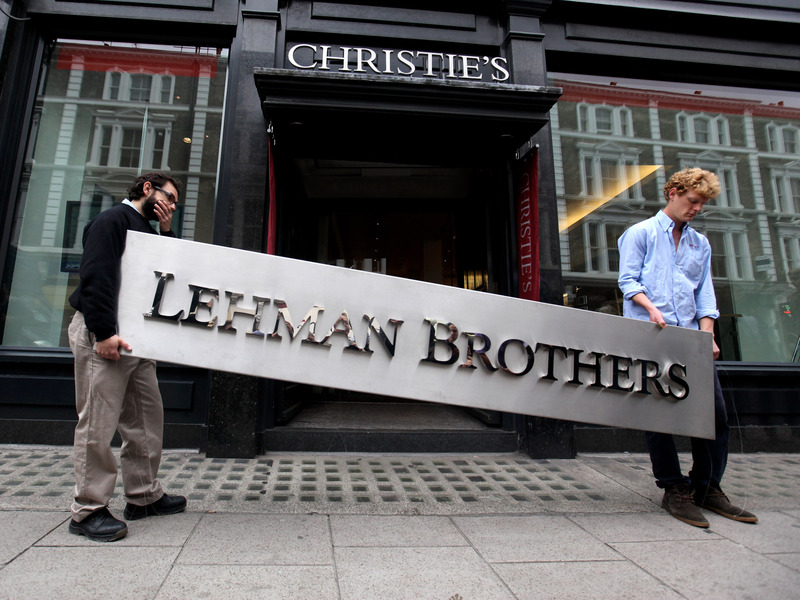 The 2008-2009 recession aka "Housing Crisis" was the result of a nasty credit crunch. In fact most recessions are ultimately the result of some sort of credit squeeze that starts the recessionary dominoes into motion. In November, we wrote that our economy is teetering towards stagflation. If healthcare, rents and oil prices continue to climb, we will be there. Despite the strong dollar, oil spurted higher after the election too. When speculation drives markets, fear takes hold. If a sector gets hot, investors fear they are missing out, ignore valuations and jump in. When a sector sells off, investors fear even greater losses, get scared and run for cover even if the fundamental valuations are good. When these fears build, volatility ramps up. Successful investors learn how to stay disciplined when others around them are not. Looking deeper into these current events leads us to believe that the inflation fears driving the bond market selloff will create entry points for disciplined investors. Conversely, domestic stock prices are so expensive that everything has to go right in 2017 to justify current multiples. Any hiccup (economic, political, global) will cause a cascade in the opposite direction. It is a certainty that higher oil prices, the strong dollar and higher interest rates are a strong headwind for demand. The only thing left to debate is whether or not the Trump administration can unshackle Washington from a decade of gridlock in time to justify the euphoria. The new administration will inherit an economy that is barely limping along and dragging a massive debt anchor. Washington still matters. New policies can help. Unless Trump masters the Jedi Mind Trick, it will be too little, too late. Whether it’s been the World Series, election coverage or late night storm alerts, there has been plenty to keep us awake at night during the past few weeks. But just like a clap of thunder that keeps you from slumber, maybe you’ve had a worry about your financial life that has kept you awake. Perhaps your concerned about the cost of health insurance in 2017. If you had an ACA policy with Blue Cross Blue Shield in TN, you’ve been shopping for other options. Perhaps even eyeing paying the penalty rather than a steep premium. You could be in the midst of dealing with the loss of a loved one and having deal with probating assets, finding legal documents and paying bills. You might be confused on how and when to begin taking your Social Security benefits. Seminars and web searches can make the matter even more confusing. With the holidays upon us, you may be longing to stop the spending frenzy and make a commitment to get out of debt and allow you to retire sooner rather than later. Maybe you need encouragement and validation of your decision to retire in 2017, but some uncertainty prevents you from making that decision. You may be worried about your grown children and their inability to act responsibly with their finances. Or maybe you don’t know where to begin. You’ve accumulated assets for the past 25 years, but don’t know what you have, what you spend or what to do. You want to be charitable to your church, but didn’t realize that you could give your RMD from your IRA as a gift. These are all real problems that we’ve helped our clients solve in the past month. Our role as a wealth management firm is to assist our clients at all times, in all matters. That encompasses all aspects of your financial life, not just the management of your assets or the filing of your taxes. We can work with any investor regardless of the number of assets you have. The questions that keep you up at night may differ with the seasons, but who you seek counsel to answer them should not. Don’t spend time worrying when you should be living. Our phone lines are open. Just give us a call. Confession of Annuity Salespeople - "We're Not Equipped as Advisors"
Here's the Inflation That the Bond Market is Freaking Out Over.